Looking to start a new job, but overwhelmed and unsure how to start the job search process? 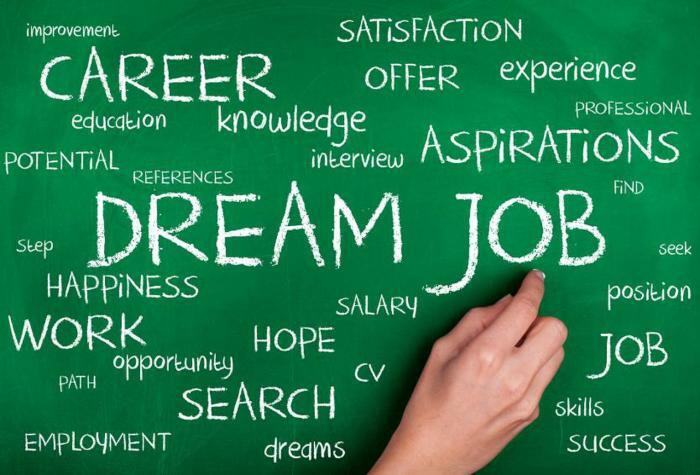 If you find yourself asking questions like, “How do I begin my job search?” or “How do I prepare myself for a successful job search?”, here are 11 steps to a strong job search that will help you improve your chances of getting the dream job you’ve always wanted! Reflect on the jobs you’ve had in the past. Ask mentors for feedback on your work ethic, strengths and areas of improvement. Research and establish what your ideal roles are. Determine where you’re going to job search. Build on the skills you’re missing by taking on extra, relevant responsibilities. Refresh and clean up your social media pages. Determine when to notify your boss. Think of who you’ll want as your references. Reflection is a valuable and often forgotten aspect of the job search process. Rather than jumping right into the job boards, step back and evaluate why you’re looking for a new job. This helps you frame what your next best move should be. Analyzing why you want to switch jobs will bring clarity to what the RIGHT job looks like for you. In addition, think about your experiences in your past roles. Which responsibilities did you enjoy the most and which could you do without? WHY did you like or dislike them? Was it the organizational culture? The work itself? The lack of support and/or experience needed to truly succeed? What did you learn from your past jobs that can help you in your next role? What are your current skills? How have they helped you in your career? Will they be enough to serve you effectively in the next stage of your career? Asking these questions at the beginning of your job search process will help you establish a clear vision for what you want your “next ideal role” to be. Write down your observations to serve as a reference point when you’re conducting your job search. This will help you align your professional interests, aspirations, and skills to the jobs that fit you best. Get feedback from the people you know and trust. Set up meetings with your mentors, senior leaders, colleagues or close friends who are familiar with your work and talents. Ask them to give you frank feedback on your skills, strengths, weaknesses, work ethic and professionalism. Make sure it’s someone who isn’t afraid to offer constructive criticism. Sugar-coated advice isn’t good for the health of your career. What do they see you doing? How do they see you transitioning into this dream role you’ve established? Gaining a candid understanding of who you are and how others see you can help you better position yourself for your next best opportunity and identify what you need to refine in order to get there. In addition to receiving feedback, it’s good to get an understanding of what your ideal roles require. If you know someone who has your dream role, ask to shadow them for a day or conduct an informational interview to get a better grasp of what the job entails and how to prepare for it. Your Impact: At the end of the day, what kind of impact do you want to make in your community? How would you like your role to change the lives of the children and families you’re serving? What solution do you want to solve as it pertains to the kid’s educational well-being? If you need help pinpointing this, you may want to spend more time analyzing why education is the right space for you. Your Role: What things did you enjoy about the roles you’ve had before? What were the things you were really good at and would you want to do them again? What work would you delegate to someone else if you could? Were you satisfied with the roles and responsibilities you had? What activities, challenges, and responsibilities do you want to do/own in this next role? Your Organization: Did you like the organizational structure of your past jobs? Do you prefer working with smaller, intimate teams who do a little bit of everything or do you prefer working with larger companies where the work is more structured and predictable? Your Location: What are your preferred locations? Do they provide activities that are conducive to a good work/life balance? Are there opportunities for career advancement there or will professional growth be limited? Are these location preferences must-haves, or are they nice-to-haves? Once you have a good idea of what your ideal role will look like, narrow down the absolute necessities of your dream job. By necessities, we mean that if these basic elements were in place, you would be content and confident that you’re in an environment where you both enjoy today and are preparing for your ideal career of tomorrow. Limiting yourself with too many “nice-to-haves” disguised as “must-haves” may eliminate great prospective roles. After you’ve clearly defined your job necessities, pinpoint the roles that most align with your list. Then, research different organization types where you could potentially perform that role. According to your list, you may prefer one organizational type over the other based on structure, culture, work style, a barrier to entry, etc. If you need help finding out where to start, sites like O*NET do a great job of explaining what is required for certain positions within the education space including, tasks, technology skills, knowledge, abilities, work activities, work styles, salary and much more. It even shows which positions have projected growth in the future. Here’s an example for Education Administrators. How can I find the most opportunities? How can I find the opportunities that closely align with my ideal roles? One way to optimize your job search is to look for roles on niche job boards and/or professional association websites. If you use websites that specialize in curating roles in the education sector, you’re more likely to find jobs you’re truly interested in, faster! The Spring hiring season is the best time to start applying for roles, but you have to know where they are. If you’re interested in working in education, but you’re looking to exercise your talents outside of the classroom, job searching through teacher-centric job boards can be a little difficult and at times frustrating. TrulyHired is a great way to discover the hard to find, non-teaching jobs in education you’ve been seeking. To confidentially stay abreast of current, relevant jobs in education, you can sign up for job alerts here. Another way to optimize your job search is by using industry-specific staffing or recruiting agencies. These agencies allow you to articulate your professional wants and needs to someone who will seek out opportunities on your behalf. If you’re looking for jobs in education, specifically non-teaching jobs, WorkMonger is a great way to receive job matches about a variety of non-teaching jobs that match your professional preferences. All you have to do is complete a JobSeeker profile. When to follow up: Know when you need to circle back with an employer so you can stay top of mind during their process. Who to follow up with: Following up with the right people during the process helps you build rapport with the hiring team which allows you to stand out. Where you applied: If you see that one website is getting better results than the other, then that’s a good indication that employers are actively looking for candidates on that platform. That’s where you want to be. Communication trends: Keep tabs of your progress and track communication trends such as which roles you’re getting traction on, which ones are taking a little longer, how people prefer to contact you for different stages of the process and how long it takes for employers to generally get back to you. Observing and acting on these trends will help you be more proactive and strategic in your follow up efforts. Your perceived brand: Once you have good records of all of the roles you have applied for, eventually you will get a good sense of how your resume is performing and how you’re being perceived. For example, imagine you’re applying for both middle management and seasoned leadership roles, but you keep getting callbacks for only the middle-management positions. This likely indicates your resume isn’t highlighting the skills required for upper-level management. Organize and control your job seeking process by using a spreadsheet like this. Another way to optimize your search is to find the people who can help you get there! Reach out to people in your current network to see if they know of any job openings in your areas of interest. If they’re not privy to specific job openings, see if they can lead you in the right direction with a reference, an event to attend or an organization to join. Let them know what you’re looking for, why you’re looking and what you would like to bring to the table. If you’re new to the education space or the people in your circle aren’t connected with anyone at an educational organization, join a professional association or a MeetUp group. Likewise, you may want to start getting familiar with people in ed-centered Linkedin or Facebook groups. These are great ways to surround yourself with people who are familiar with what you want to do. Attending education conferences and local networking events can also help widen your net to find relevant opportunities. As you’re applying for jobs, you want to make sure you have a fresh, relevant resume that resonates with your audience - the hiring managers. Your resume should tell a story of what you’re interested in, what you’re doing to advance yourself, and where you aspire to go. It should also reflect a track record of your results, skills and how you were able to make a positive impact on both your team and the communities you serve. A great place to start is to identify a few job descriptions for roles that you are very interested in. Then, analyze the job descriptions in depth, paying special attention to a) the break down of day-to-day responsibilities, b) the experience required, and c) the aspects that you know align closely with your experience, skills, and talents. With this information in mind, tailor your resume to highlight in concrete ways why you’re the best person for jobs such as these. As you’re editing your resume, remember to focus on including the most relevant information. For help on how to structure and optimize your resume, read this blog. If you start to see a number of gaps between the job description and your resume, you may not be ready for this role, at this point in time. However, there a few suggestions on how you could fill those voids. If the gaps are knowledge-based, seek out an online course, classes or licenses that can help you fill the void and add value to your resume. If your gaps are experience-based, think through how you might gain the requisite skills at your current place of employment. Perhaps volunteer for a cross-functional team or ask your supervisor if you can begin to take on new projects that will allow you to grow in the areas in which you are interested. You can also look outside your current employment for experiential growth, such as serving in small roles in one of the education associations we spoke about earlier. Collectively, these steps can help improve your skills and add the experience you’ve been missing on your resume. Practicing your interview skills is a must to help you land the job you’re seeking! Now that you have a good idea of what the role generally requires, find ways to sync your experience and aspirations into your interview storyline. Research information about the organization ahead of time. Then, weave your narrative into what they’re looking for. For example, if you’re applying for a leadership role, be sure your stories demonstrate your awesome leadership skills, such as guiding your team to reach a common goal, delegating assignments based on your team’s strengths, creating an agile execution plan, etc. Review your resume and reflect on your past experiences to determine which stories you’d like to highlight in your interviews. Be able to explain what you’ve done (use concrete, measurable outcomes whenever possible), why you included it on your resume and how it relates to the job you’re applying for. Remember, the only thing the hiring team has to go on is your application, resume, and social media presence (we’ll get into that later). Also, you’ll want to reframe how you think of interviews. Rather than being interrogated by someone on the other end of the desk, think of it as a candid conversation. Anticipate building rapport and making a genuine connection with the interviewer. Remember - interviews are a two-way street; you’re evaluating them just like they are evaluating you. Having the right perspective can help you mitigate anxiety and create an opportunity to have open, insightful conversation about a role you both find equally intriguing and important. To start, try to find out who you are interviewing with in advance if at all possible. Once you know, look up information about them on LinkedIn and on the company website. In addition to making sure you understand their role, jot down the information you can use as rapport points, like universities you’ve both attended, organizations you’re both members of, roles you’ve both held or experiences you’ve shared. Once you have a good idea of who the person is and how they contribute to the mission of the company, figure out what you’re going to say by conducting a mock interview. It’s a great way to decrease interview anxiety and increase your confidence in how you’re going to respond to the interview questions. You can do a practice run with close colleagues. Or, for feedback from talent professional knowledgeable on the education sector, check out WorkMonger’s resume review and interview prep career services. Since finding jobs in the education sector is our forte, we can help you streamline your story for distinct opportunities you’re seeking. For more great tips on how to prepare before, the day of AND after the interview read 12 Steps to a Great Interview here. More and more, employers are using social media as a part of their candidate “background checks”. When you’re working in the education sector, understanding who your candidates are inside and outside of the organization is very important. Not only are you representing yourself but you’re also a reflection upon the kids, staff and communities you’re serving, so make sure whatever social media pages you have that are accessible to the public are cleaned up and acceptable for the organization you’re applying to before you apply. One of the best ways to positively place yourself on an employer’s radar is by utilizing LinkedIn. LinkedIn is a valuable tool that most professionals fail to maximize. Not only are employers checking your page after you apply, but recruiters are also specifically seeking potential candidates for jobs they have available through LinkedIn. If your page isn’t updated, more likely than not, you’re not going to be included in that outreach number. Who knows, an updated and accurate LinkedIn profile could land you your dream job! LinkedIn is also the perfect social media platform to showcase everything you couldn’t fit on your resume. It’s a great way to highlight your knowledge, expertise and professional voice, on your terms. So it’s important to keep your Linkedin updated with current responsibilities, share and comment on industry related news, offer sound advice and opinions on things going on in your field and connect with other professionals in your lane. If you need help figuring out the best way to utilize your LinkedIn Page, here are a few LinkedIn hacks to get you started. If you’re thinking of leaving your current job sooner rather than later, determine when you should give your boss a heads up. Most of us are familiar with the 2 weeks notice rule. But if your position is a little more complex, you may want to reconsider when you need to notify your employer so they can properly prepare to delegate your responsibilities and find a replacement. Hopefully, you’re parting on good terms. But in the event that you’re anticipating a bad breakup due to retaliation, hostile work environment or other unfortunate circumstances, you’ll want to explore your options and what’s in the best interest of you and the parties involved. This is especially important when you work in such a close-knit sector like education. You don’t want to burn bridges, but you do want to make a clean, cordial and professional break. The last step is to create a solid list of positive and supportive references. If the hiring managers and/or recruitment agencies call these individuals, make sure they are talking to people who are familiar with the scope of your experience, work ethic and overall value of what you bring to the table. Choose 2-3 individuals who can offer relevant insight as it pertains to the role you’re applying for. It’s helpful if they can speak on your behalf from a macro and/or micro level point of view. This will give the hiring manager and/or recruiter a well-rounded perspective of who you are as an employee. Now, of course, you don’t want to just add your references to the list without telling them. Be sure to notify them in advance. Let them know you’re looking for opportunities and ask if they would be willing to serve as a reference and, if so, how they prefer to be contacted. Nowadays, people are reluctant to answer numbers or emails they don’t know, so make sure they’re aware someone might be contacting them to get some input on your qualifications. Explain the overall premise of the jobs you’ve been applying for, what they’re looking for in a candidate and the key points you want them to highlight if and when the hiring team calls. By doing this, your references will have more time to conduct research on the companies, curate stories as it pertains to the roles and properly prepare for the reference interview questions. Keeping up with blogs like ours for current news, trends and job-searching strategies will help you stay ahead of the game! The more strategies you implement, the closer and faster you get to your desired end goal. It’s not very common for people to research how to do an effective job search; most candidates just dive in. Knowing that, be sure you check in frequently so you can sustain your advantage. As a fun bonus, we wanted to share this great podcast we ran across. In this episode of “The Job Search Podcast”, Amy Adler describes 5 simple mental strategies you can use to prepare for a successful job search. You can listen to the episode here. We wish you the very best in your search for your dream job! If you have another step you’d like to add, let us know! Comment on the blog below, message us on Facebook or tweet us on Twitter! Don’t forget to share this with your friends who are also job seeking! We all want to find an impactful job that we love at a dynamic organization doing work that makes a difference. So share the wealth! Until next time, stand out. Do good!